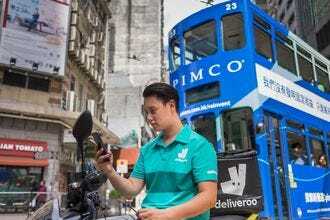 Hong Kong grew up around its harbor, and while it might have reclaimed quite a lot of land at the edge of this vast natural haven, it's still the focus of life in the city. 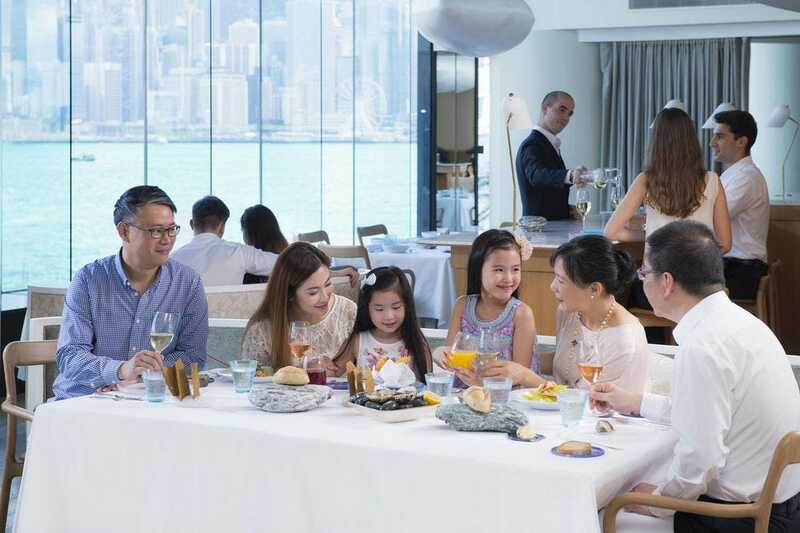 Finding somewhere to eat with a marine view is by no means difficult, so whether you take your seat on Hong Kong Island – and face north – or in Kowloon looking the other way, you are pretty much excused if the spoon misses your mouth from time to time. The panoramas are breath taking. Waterfront dining can be so many things, in such a variety of places: perhaps in an ultra smart restaurant like Rech or Caprice, which looks out over the harbor and boasts a cellar crammed with artisanal French cheese; or out on one of the islands that dot Hong Kong's waters, steps from the sea and in earshot of the ferry pier at China Bear. Cococabana is the prime restaurant on Shek O beach, Hong Kong Island's super laid-back seaside village. 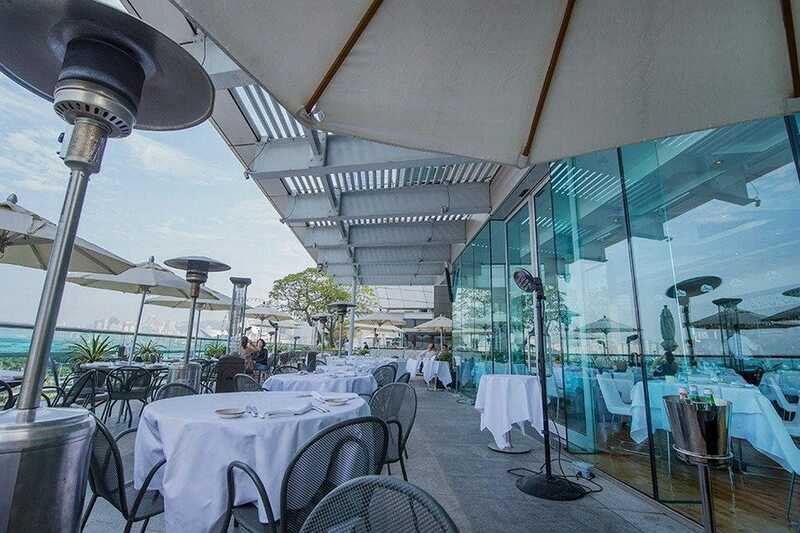 Fans are drawn here by the Mediterranean-inspired menu and the alfresco setting. The best place to sit is on the terrace outside and the automatic choices are seafood dishes like grilled sea bream and piri piri prawns, as well as salads and hors d'oeuvres platters. This is the perfect spot to chill out after a day in the sun or for a drink or two come sundown. As might be expected in a village, the other customers may very well live just around the corner, adding to the friendly atmosphere. Phuket? The Caribbean perhaps? Nope, it's Hong Kong, and just half an hour's drive from the international airport, which lies on the other side of a fairly substantial mountain (so this might be a good venue for a last lunch or supper before flying out). 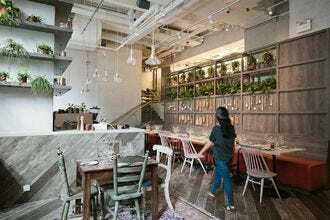 There's long been a restaurant here on Cheung Sha Beach, going by different names over the years; Bathers is the latest incarnation, with an international menu that features lots of seafood and steak. Whether you come here for breakfast (weekends only), lunch or supper, time more or less becomes irrelevant once you sit down. Super staff and location, and very reasonable prices too. 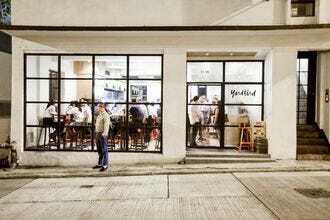 The China Bear is far and away the best pub on Lantau. There again, it's almost the only pub on Lantau outside the expat enclave of Discovery Bay. Such quibbling is beside the point, for the Bear, right next to the ferry pier with a view that stretches all the way to Hong Kong Island, is an institution. This is very much a locals' hangout, with a solid international menu, darts, quiz nights, plenty of brews on tap and a fair bit of banter going back and forth. 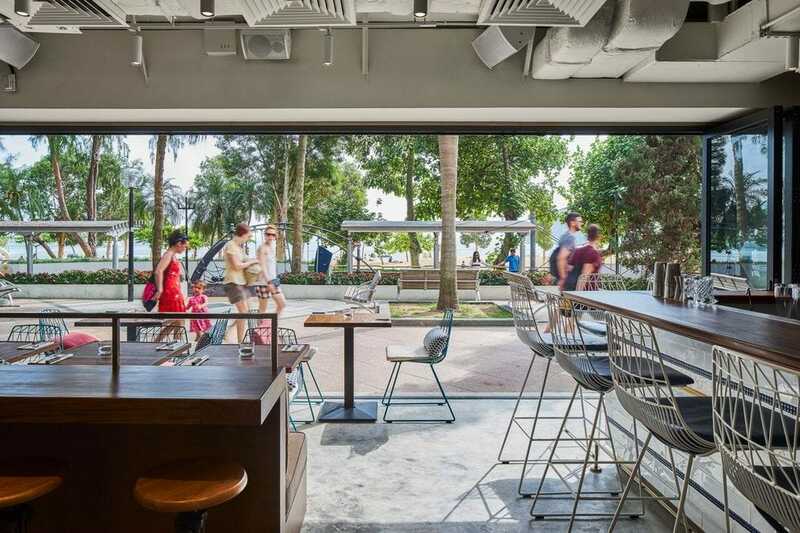 Sit outside (assuming the weather is cooperating) and soak up the island atmosphere. Hong Kong is not lacking when it comes to restaurants with a view, so a venue needs to be truly exceptional in some other way to distinguish itself from the pack. 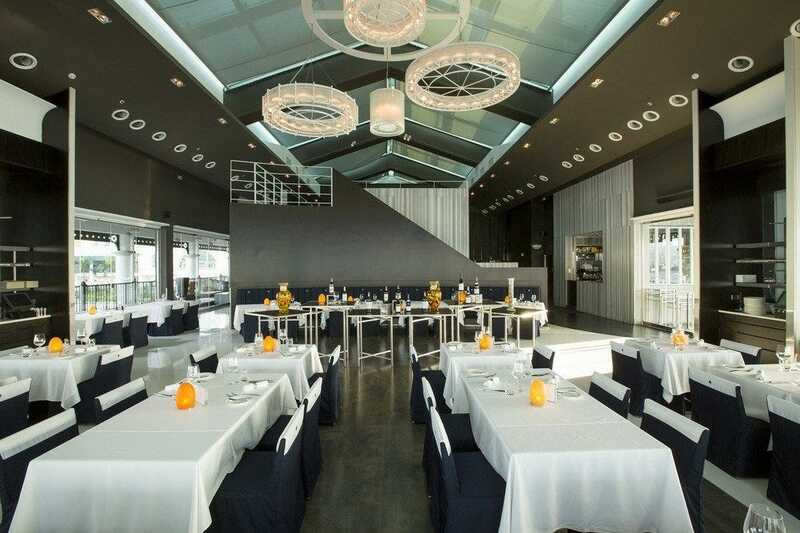 Isola's floor-to-ceiling windows and huge outdoor terrace do indeed offer stunning panoramas, and its tastefully monochromatic decor is stylish and clean. But the food is stellar from appetizer to dessert. Start with baked mozzarella in walnut bread with sweet cherry tomatoes, a layering of flavors and textures that is simply brilliant. Main course dishes are just as impressive â" grilled sirloin with red onion and anchovy sauce, and salt-crusted sea bass, in particular, stand out. The clientele here tends to be trendy and well-coiffed; reservations are strongly encouraged. 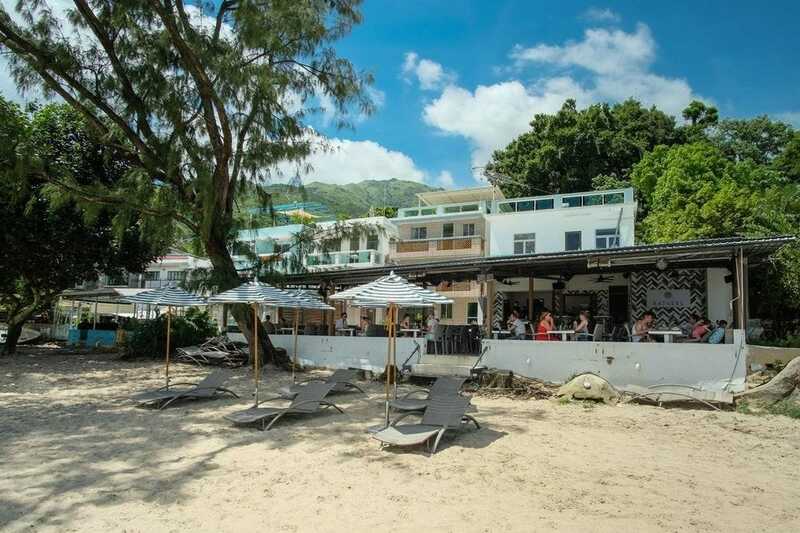 Hong Kongers love their beaches like they love their food, and Amalfitana puts the two together in a single splendid package.Repulse Bay has long been Hong Kong Island's go-to beach, and Amalfitana sits just back from the sands in the chic shopping and dining arcade called The Pulse. Amalfitana does pizza (as well as ambiance), specifically artisan pizza, with creative toppings, seaside small plates, and super fresh salads. You can count on friendly service, and a very amenable crowd attracted by the neat agglomeration of sun, sand, sustenance and something to wash it down with. All in all, it's the perfect Southside hangout. 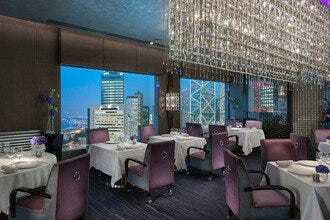 The well-regarded Caprice is lovely, with tastefully opulent decor and a wonderful view over Victoria Harbour. The chef's forte is contemporary French cuisine and he imports a plethora of special ingredients to accomplish the best flavors and textures. 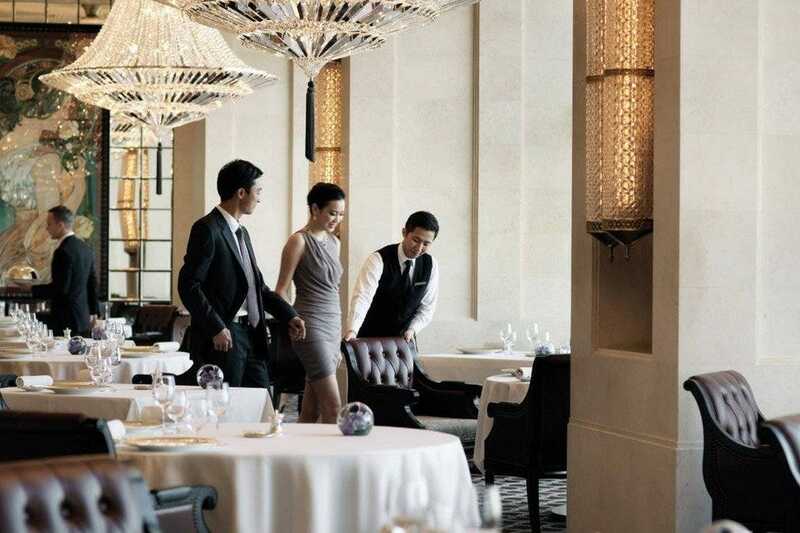 The menu changes frequently, but expect to find dishes such as Artichoke Cappuccino with Black Truffle, Pan-Sauteed Veal Chop with Green Asparagus and Jus of Black Truffle, and Roast Chicken with Fondant Potatoes. If you're feeling decadent, splurge on the degustation menu. The impressive wine list might take some navigating; ask the sommelier for a recommendation if you are at all unsure. A truly hidden gem of all Hong Kong attractions, this fishing town is where Hong Kongers retreat for swimming, kayaking and some of the city's best seafood. The center of the town is a 1,000-meter street lined with seafood stalls. Each of them looks like a mini aquarium as the boss displays an amazing array of freshly-caught seafood for diners to order from. Simply wander along till you see somewhere you like the look of. Across the street, fishermen sell their catch right off the boat at the pier. Many of them also offer trips around the surrounding islands for around US$30. 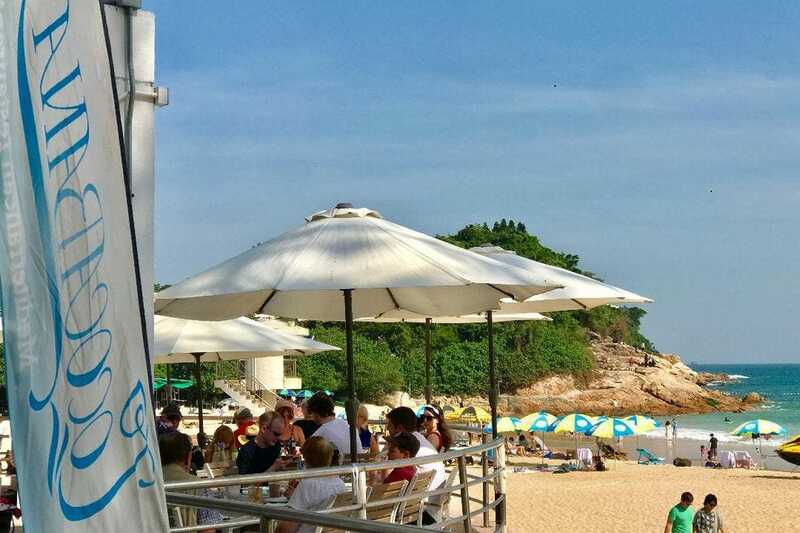 Some six kilometers south of the Seafood Street is Trio Beach, a nice soft-sand stretch with calm and clean water, relaxed atmosphere and opportunities for seaside barbecue. This is possibly one of the most amazing restaurants in Hong Kong, combining views, food and drink that are all out of this world. 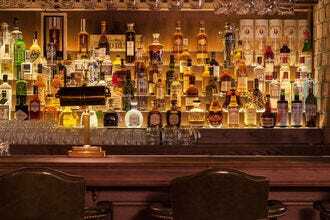 As one of France's greatest chefs, Monsieur Alain Ducasse needs little introduction and it's in this superlative space (which some older travelers may remember when it was called Spoon) that he conjures up his personal interpretation of contemporary Gallic cuisine. Seasonal fish, seafood and oysters are the prime attractions here, served with style and no little enthusiasm on the part of the staff. This is definitely the place for a big treat or a major celebration.